We had a very impromptu day out today - and the unplanned ones are always the best! 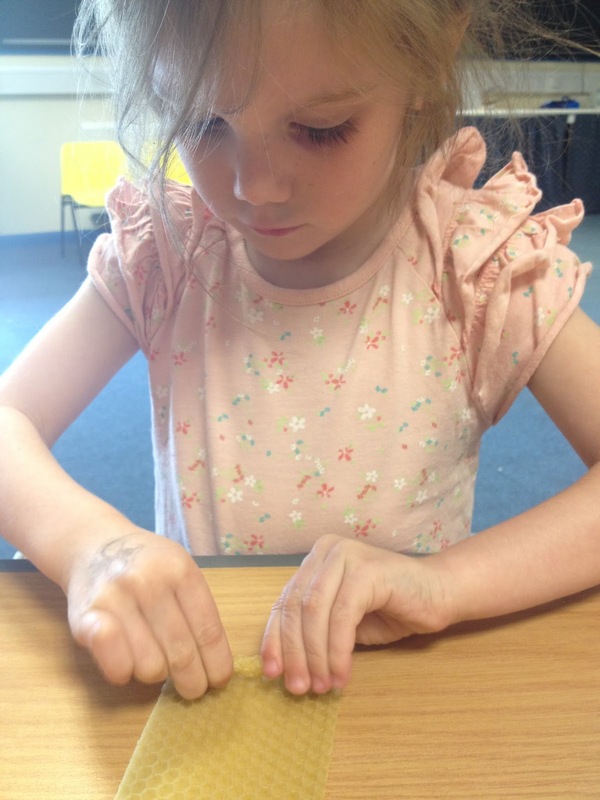 We're lucky enough to have a wonderful museum here in Haslemere, and they regularly hold educational and craft sessions for pre-schoolers and older children. Today it was Bee Day at the museum - a chance to learn all about bees and bee keeping and to make some beeswax candles (and do lots of colouring in, cutting and sticking too!) all courtesy of Petersfield & District Bee Keepers Association. I'm still fascinated by them though - and I LOVE honey - so it's definitely something I'd consider when the girls are a bit older, especially after finding out all about them today (yes, I learnt lots too!). Our morning started by paying a working hive a visit. It was all very safe and behind glass and it was amazing to be able to get so close to the action. We saw lots of different stages of the bees lives - and all their different jobs within the hive. 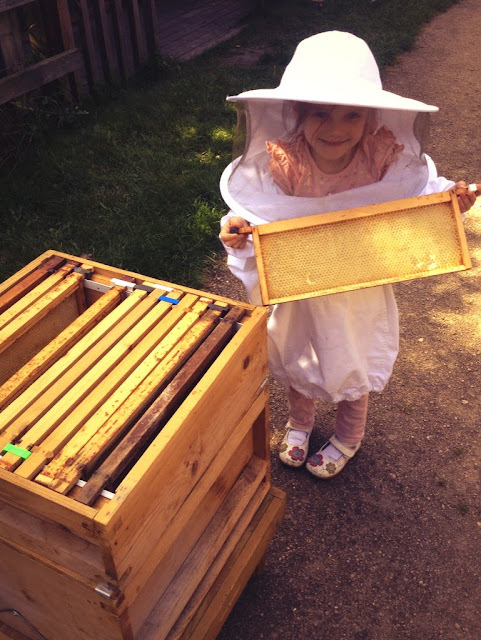 Daisy's favourite thing was discovering that the younger bees are given the job of providing air conditioning for the hive (YES REALLY!). Before they are allowed to venture out to collect nectar (which makes the honey) and pollen (which feeds the baby bees - see I told you I learnt lots!) 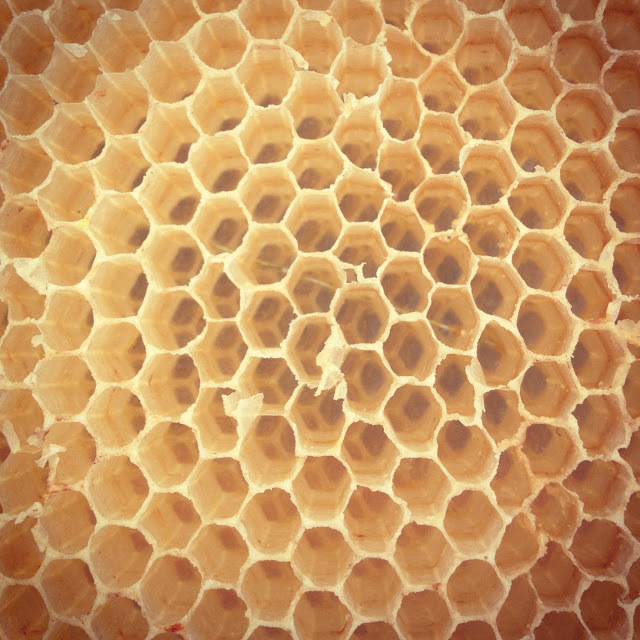 they hover near the entrance/exit of the hive and flap their wings to let the warm air out and the cool air in. Genius, non? Daisy also got to try on a Bee Keeper's outfit (the highlight of her day) and to look inside a real (unused) beehive. Back in the education centre, she was shown the different types of bees that can be seen around the UK and shown some lovely pieces of honeycomb. 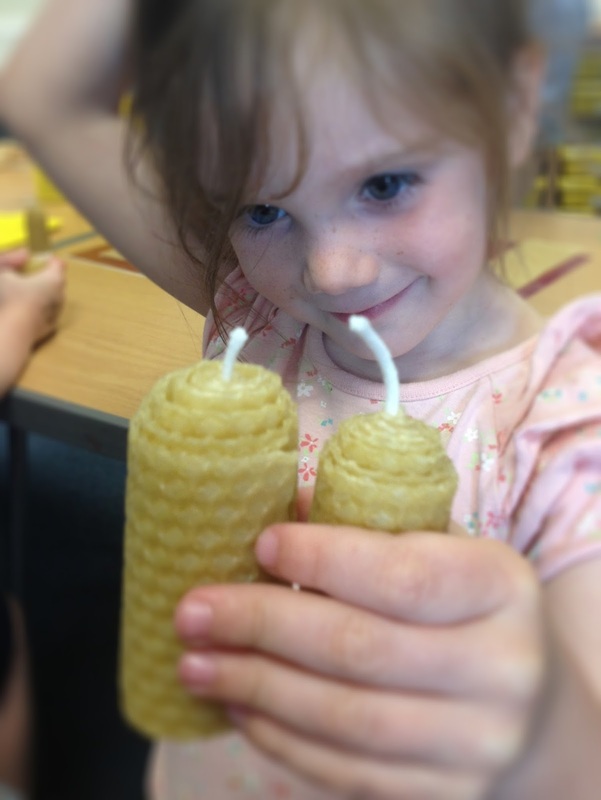 She also made her own beeswax candles! 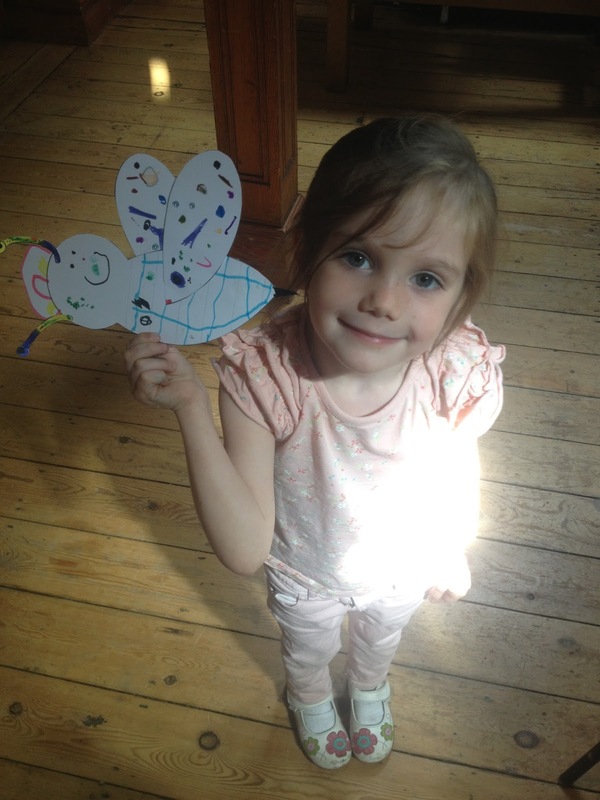 The day ended with an arts & crafts session and Daisy made her own bee, which she named a Haslemere Rainbow Bee. Of course. If you're local to Haslemere and haven't already, I really would recommend that you try one of these sessions with your kids. Take a look at their Calendar of Events here. They have lots of family drop in sessions throughout the year, and have weekly ones (every Friday) specifically for pre-schoolers so that they get to have lots of fun (and learn lots!) whilst their older siblings are at school!